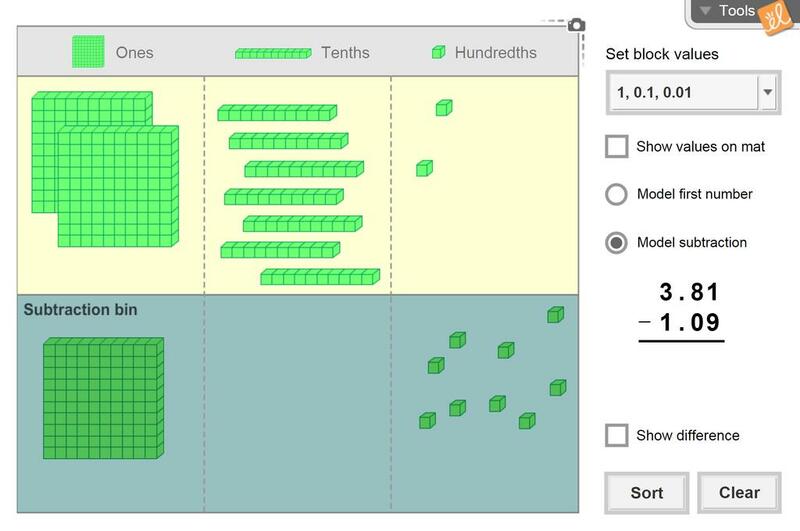 Use base-10 blocks to model a starting number. Then subtract blocks from this number by dragging them into a subtraction bin. Blocks of equal value can be exchanged from one section of the mat to the other to help understand regrouping and borrowing. Four sets of blocks are available to model different place values. Subtract whole numbers with regrouping. Subtract decimals with the same number of digits. Subtract decimals with different numbers of digits. Great tool for visual learners! Students can see the regrouping happen with the blocks along with the numbers.